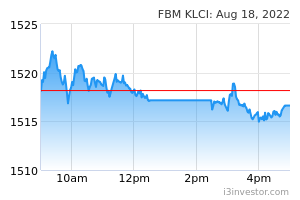 Tracking the volatility on Wall Street overnight, the FBM KLCI erased all its previous session’s gains, before closing lower to around the 1,679.90 level last Friday. The MACD Line has tripped below the zero level, while the RSI remains below 50. Resistance will be pegged around the 1,700-1,710 levels. Support will be set around the 1,660 level. 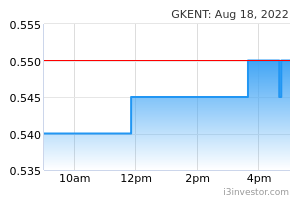 GKENT has advanced to close above the EMA20 with high volumes. The MACD Histogram has extended another green bar, while the RSI remains above 50. Monitor for a breakout above RM1.21, targeting the RM1.33 and RM1.41 levels. Support will be set around the RM1.11 level. 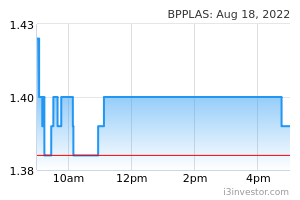 BPPLAS has experienced a flag-formation breakout above the RM1.10 level with improved volumes. The MACD Histogram has extended another green bar, but the RSI is slightly overbought. Price may advance towards the RM1.16-RM1.19 levels. Support will be anchored around the RM1.06 level. 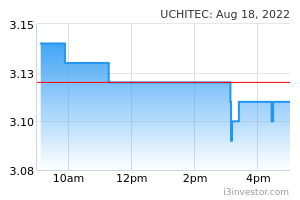 UCHITEC has formed a bullish candle to close above the EMA120 level with rising volumes. The MACD Histogram has turned green, while the RSI has risen above 50. Monitor for a breakout above RM2.84, targeting the RM3.05-RM3.14 levels. Support will be pegged around the RM2.60 level.